As a dad of two kids with disabilities I often find myself, like any parent, cranky and impatient. I find that I’m at my best in this parenting journey when I find solidarity with my kids. I too am in need of patience, of mercy. I too am slow, stubborn, and disabled…spiritually disabled. Like Layla and Henri, I too am precious to my Father who is patient with me. Lisa and I had the opportunity to attend the 46th Annual Convention of the National Down Syndrome Congress a couple of weeks ago in Dallas. The keynote speaker, Frank Stephens, is a man with Down syndrome who became famous when his testimony to Congress to protest the epidemic of discriminatory abortion of unborn children like Henri who have Down syndrome went viral on Youtube. “I am a man with Down syndrome and my life is worth living,” he said. Everyone in the room stood and cheered when he finished. After Frank spoke at the convention, hundreds of people with Down syndrome and their loved ones poured onto a dance floor and danced. The unrestrained joy unleashed in all forms of crazy dance gave me a glimpse of what church could be…a celebration of solidarity in our need, our hope, and our being loved. Another real treat that we had at the conference was getting a chance to spend time with some new friends of ours, Nurmat and Dina, and their kids from Kyrgyzstan. When their little girl Abigail was born with Down syndrome the doctor asked them if they wanted to say goodbye before they put her in an institution for the rest of her life per local custom. Nurmat and Dina had come to faith in Jesus years before from a Muslim background and instinctually knew that they would keep and love little Abigail. 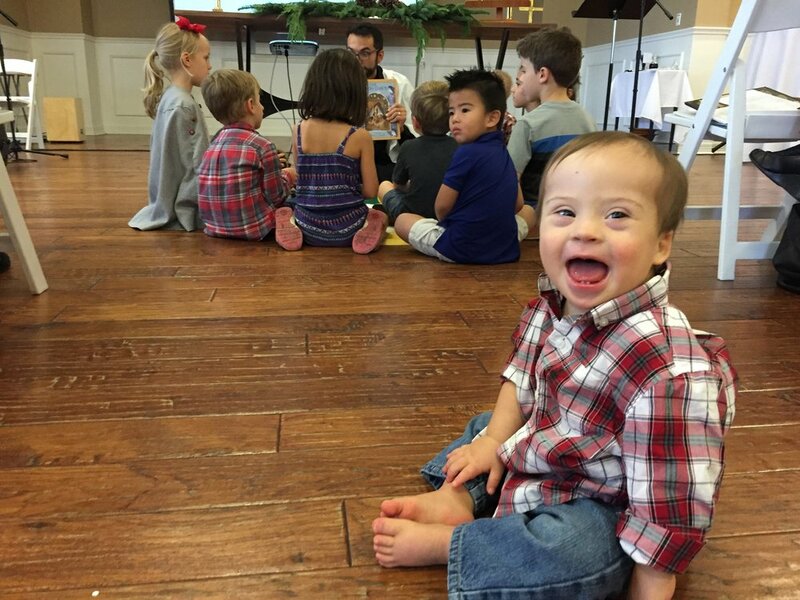 That radical cultural step was followed by an even more radical step when they adopted another unwanted boy with Down syndrome, Eliazar. Now they’ve opened a non-profit that casts vision and gives resources and support to families in Central Asia who are daring to keep their children with Down syndrome. I am deeply touched by Nurmat and Dina and the good dissonance their faith in Jesus is causing in Central Asia and beyond. Brokenness of body and spirit meets hope in the form of Jesus and his people and an unexpected joy beckons us out to the dance floor.